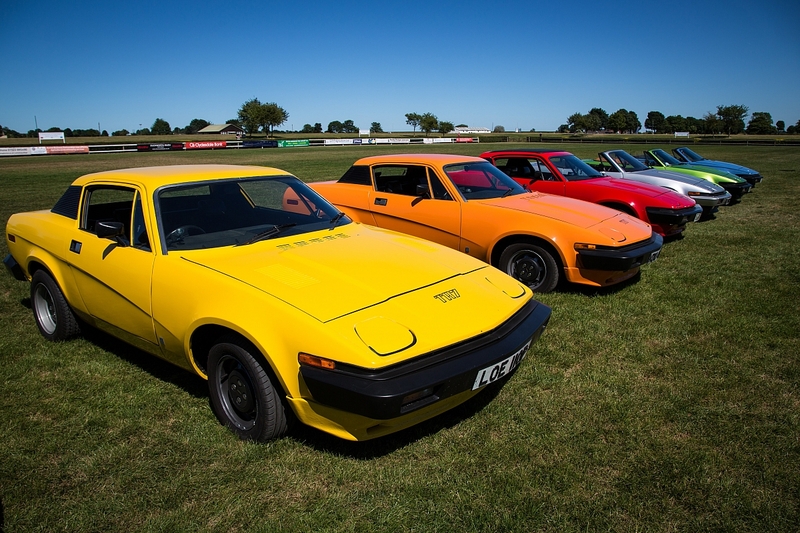 The TR Register recently announced a new look 'Wedge Team' to promote, preserve and research TR7/8s within the club. The registrars form a key part of club activities at the TR Register and are custodians of the club's records and archive of information for the various models it represents. TR Action Magazine's TR7 Registrar column will be re-branded "Wedge Register" and its Editor from issue 309 onwards will be Jim Pickard. Jim will also be named as "Wedge Registrar" for the TR Register and will be the first point of contact (wedgeregistrar@tr-register.co.uk). His team will consist of Phil Horsley, Grinnall Registrar and Dr Christopher Kenneth Smith - Wedge Archivist. Jim will focus on historical articles, events and the social side of engaging with TR7 fans whilst Christopher Kenneth Smith, will focus on data details and managing the records and update requests from members on the records. He will be the TR Register's TR7 technical advisor also. Phil Horsley will continue to focus on Grinnalls, but now as part of a larger team enabling him to cross reference his records with the central wedge list (for cars converted). The newly created "Wedge Team" will work as a trio to build the profile of TR7/8s, investigate issues relating to parts availability, answer members' enquiries regarding car details, build, maintain and share the archives and records whilst producing some great content for TR Action Magazine and the wider press for the promotion of TR7s. TR Action Magazine's Editor, Wayne Scott says, "I'm really excited to announce the formation of the 'Wedge Team' of the TR Register and welcome the contributions of Jim Pickard, Dr Christopher Kenneth Smith and Phil Horsley to TR Action Magazine! 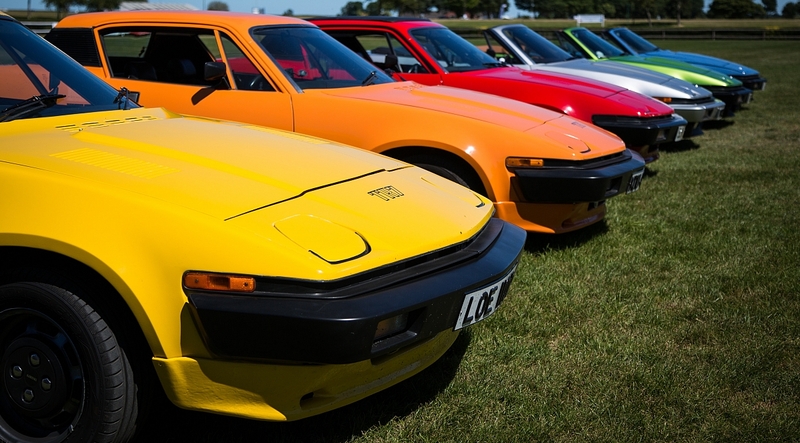 I personally feel really excited for the future of the wedge cars in the club with this team of three at the helm and feel confident that with these guys working for the marque TR7/8, the club will be able to lead the way in ensuring these cars get the proper protection, promotion and preservation they truly deserve." Acting Chairman, Allan Westbury explained further, "The TR7 is a valuable and very accessible model within the TR range and one that arguably, needs the most help and attention going forwards to ensure its long-term survival and parts supply. This new team will, I am certain, raise the profile of these much underrated TRs within the TR Register Car club and beyond." The TR Register were involved in the recent coverage of the TR7 panels crisis as published in recent Classic Car Weekly articles. In a nutshell, British Motor Heritage own the tooling for front wings, sills, nose panel and doors for the TR7. Since the last run of panels, nearly 10 years ago, the tooling requires recommissioning and as far as we are aware, has been deemed not economically viable to use any longer. The panels therefore have now gone out of production and stock levels are nearly exhausted for most suppliers. The new 'Wedge Team' of the TR Register will be working to learn the true facts of the situation and discuss further how the TR Register might be able to assist to ensure a future supply. British Motor Heritage have declined to comment in Classic Car Weekly and indeed TR Action at the present time. The TR Register wishes to thank Ian White, upon his retirement, for the many years of superb service to the club as TR7 Registrar. ​Triumph TR8 Turbo Le Mans to raise thunder at the 76th Goodwood Road and Racing Club Members Meeting. Great news,we are not forgotten after all. Wish the new team ever success.